NEW YORK -- On Monday, August 21st, 2017 ABC7 will bring you NFL Pre-Season Football. 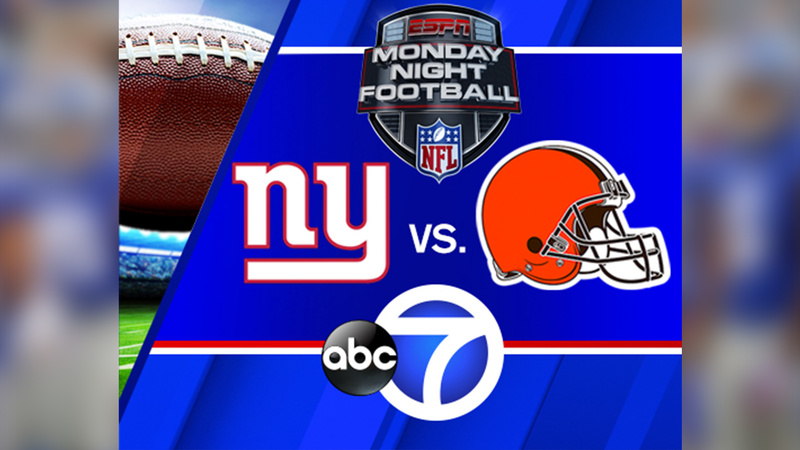 The New York Giants and the Cleveland Browns face off, with our coverage running from 8:00 p.m. until approximately 11:00 p.m. The shows which would normally air during those hours, "Bachelor in Paradise" and "To Tell The Truth" will instead air early Tuesday morning or early Wednesday morninng. If the game runs past 11:00 p.m. then the above times will slide, but the shows will air in their entireties.